This annual event held at the Sendsaal at the Frankfurt Radio featuring the Radio Symphony Orchester Frankfurt with the above Klarinettensextett, all members of this great orchestra. The event was a kinderkonzert of the season. As is usual, the concert was broadcast throughout Germany. Of interest, the Solo klarinettist Ulrich Mehlhart, who has made several recordings including the Hindemith Clarinet Concerto, is President of the Deutsche Klarinetten Gesellschaft and an active advocate of the field Internationally. Given the season, fun was a major aspect of the concert. What may be of critical interest is the high cultural tradition and support well documented here with a first rate Radio Orchestra, one of several in Germany where each state has a parallel Radio institution with the same assets to serve the Cultural and Educational traditions inherent in the country. One would wonder what would happen if the USA had the same offered to its citizens? This annual Chicago Conference is probably the most extensive Music Education Festival in the world attracting over 17,000 participants from the United States and over 34 other countries. Emphasis of the agenda is the proactive support for this field in the Public Schools, Colleges and Universities, and reaching out to all players of the whole musical spectrum at all levels of performance. An important objective is to inspire players, teachers, and laymen to broaden their musical horizons with a saturate array of performances by invited ensembles, Bands, Orchestras, and clinicians. Concerts, seminars, clinic sessions, exhibitions by the music industry kept all who came too busy to keep up with the program. Many music associations held their meetings here and were able to connect with each other and thousands of interested people. In the Clarinet area, Julie DeRoche, Director of Performance Education with G. Leblanc Corporation, gave a Clarinet Basic seminar with a High School Clarinet Section covering fundamentals of playing the clarinet including embouchure placement, intonation, tone production, and other matters pertaining to a Band section. Of interest, Ms DeRoche is very prominent in the Chicago music scene, having performed with the Chicago Symphony, Professor at DePaul University, and immediate Past President of the International Clarinet Association (ICA). Other important aspects of this conference included performances by the Military Service Bands, as the US Army Field Band, The US Army Blues Jazz Band, and the USAF Band of Flight in a reading session. Although the Clarinet is not the main theme of this Festival, the education/performance merits justify supporting this Conference. This annual event is a 'must go' for all serious about music and education. A special 6th Veterans' Appreciation Night was held honoring American veterans and Active Duty personnel especially in these critical days. An Official Party of dignitaries including a Medal of Honor recipient as guest speaker (CWO Hershel Williams) presided over this concert of American Patriotic Music performed by this world-class Band. Concert was conducted by the Deputy Commander Lieutenent Colonel John Clanton. This Band performs tours constantly in the United States and abroad and this tour has been on the road for over 35 days. The Clarinet section is one of the strongest in the US Service Bands. As with the Premiere Band system, all the musicians comprise some of the best in the United States. In addition to its tours, the Band is active in promoting Music Education initiatives for that area to benefit students and teachers alike. As is standard on their tours, admission was free to the public. The 2nd such workshop (last one held in May 03 in Fulda) was held in this small town and led by Christoph Hilger, Professor of Klarinette at the Koln Musikhochscule and the Duesseldorf Clara Schumann Musikschule. Like the first workshop, intensive rehearsals were held encompassing a wide range of players, from professionals, students, and teachers. A concert was held on the last day of the program for the public. This workshop has been held every 6 months to encourage participation and keep people informed about current activities of the Deutsche Klarinetten Gesellschaft as it increases in visibility and prestige. Of future interest is the upcoming Berlin Klarinetten Symposium scheduled for October 2004. This event will commemerate the invention and evolution of the instrument and will be held at the Berlin Philharmonie Instrument Museum. At this culturally renowned site with this Festival annually presented by the German state of Baden Wuertemburg, the Baden Wuertemburg Kammerorchester performed with Clarinet Soloist Wolfgang Meyer (brother of Sabine Meyer), who is Professor at the Karlsruhe University of Music, one of the major Conservatories in Germany. The Carl Baermann 2nd Clarinet Concerto, a rarely performed work, was played with rich style and virtuosity. The Concerto had some interesting motif points including traces from the Mozart Symphony No 40, and the familiar Wagner Adagio for Clarinet & Strings actually belonged to Baermann. It is refreshing to hear other than the most familiar works for Clarinet such as this work. Wolfgang Meyer is a founding member and Board member in the Deutsche Klarinetten Gesellschaft, the German Klarinetten Society. This event is a first in the long history since 1922 of this major Washington Band where former members and retirees joined forces with this great Band to prepare for public performance scheduled at the US Capitol steps. 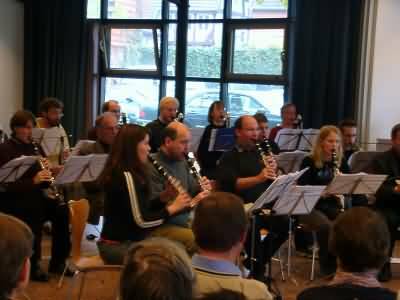 Two major rehearsals were held performing Concert Band literature familiar to all from their past association in their careers. The size of the Band increased dramatically with the attendance of so many vets who have left years ago, and meeting again under these circumstances was almost overwhelming to many who came. As part of this weekend, social activities took place along with a major meeting encouraging veterans to get into the Army Band Alumni Association. This group is inviting all previous members to come forward so effective communication and re-found friendships can be achieved. A feeling of knowing that all previous members never really leave this Band family was quite evident, one reason for establishing this project. Great credit must be given to SGM Gordon Slaymaker, SGM Jack Tilbury, and Colonel Gary Lamb for the insight and well meaning consideration to all concerned. Hopefully this will be a long standing tradition to be as it reflects a rich history of the special quality people who have served the Band for 81 years. Of special meaning to me personally is my return to the Band after departing it 20 years ago. This annual event, held in conjunction with the International Clarinet Association (ICA) at impressive facilities at the Department of Music at this University and at two other halls including the Morman Tabernacle at Temple Square where the Finale of this Festival was held in collaboration with the Morman Tabernacle Choir on a Sunday broadcast, and a special performance in the Abravanel Hall in a ‘Clarinet Showcase’ with Eddie Daniels and Solo Clarinetist Tad Calcara. Director of this Clarinetfest was Kathy Pope, Clarinet Professor at the University of Utah. Participants were treated to a saturation quantity/quality of recitals, chamber concerts, a Jazz program with the Salt Lake City Jazz Orchestra featuring Eddie Daniels, Gary Foster, Phil Woods and Tad Calcarta, and much more. Leading on Master Classes included Larry Combs (Chicago Symphony), Giora Feidman (King of Klezmer), Eddie Daniels, and others. Major concerts were performed by Elsa Verdehr, Larry Combs, David Campbell (England), Joaquin Valdepenas (Canada), and more too many to name. 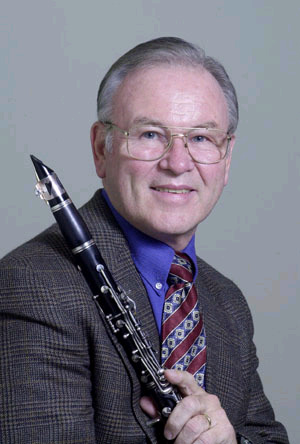 Historical figures in the Clarinet world including Bernard Portnoy and John Mohler were honored for their lifetime achievements in the field. Chamber ensembles included several Clarinet groups including the West Point Clarinet Quartet with Larry Combs as a soloist (Combs is a veteran of the USMA Band from 1964-67), the Zephir Clarinet Trio from Indiana University, the Texas Clarinet Consort, the Rocco Parisi Bass Clarinet Quartet from Italy, and several Clarinet Choirs including the Claribel from Belgium, the University of Oklahoma Choir, a Clarinet Choir of students of John Mohler from the University of Michigan, and two participant clarinet choirs- the Student Choir conducted by Guido Six from Belgium, and the Senior Clarinet Choir conducted by Paul Harvey from England. 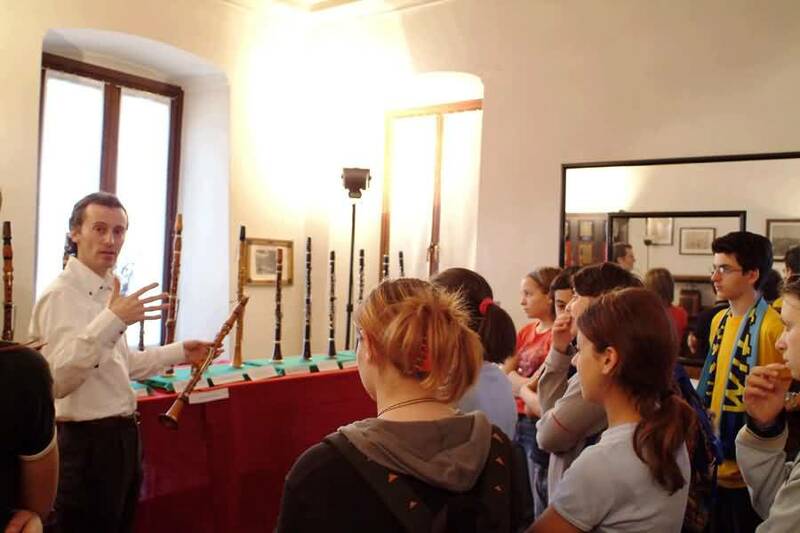 Several sessions involving clarinet equipment were held covering reeds, mouthpieces, contemporary music techniques (F. Gerard Errante), and several lectures regarding historical subjects. 3 Competitions were adjudicated including the High School, the ICA Clarinet Competition, and an Orchestral audition competition. All the events have served to upgrade and enhance everyone’s playing and musical perceptions. Along with the events, over 50 firms tied to the Clarinet Industry displayed and made available a full range of products. 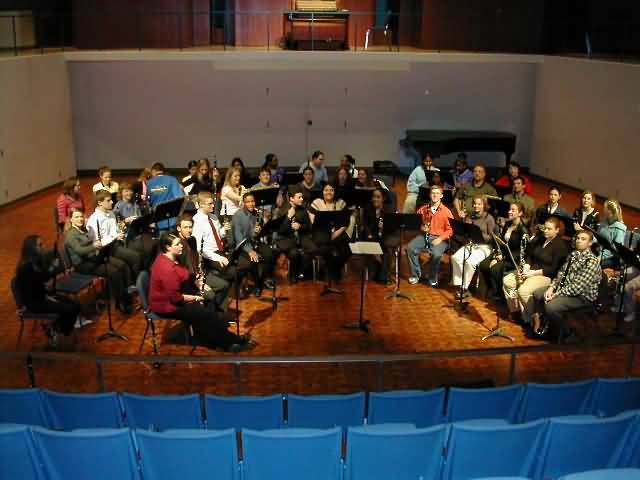 The next ClarinetFest will be held at the University of Maryland in College Park, outside of Washington DC in July 2004. Check the link on the World Events Page for new information. A major event in the Clarinet World has Ricardo Morales named as Solo Clarinetist in this great Orchestra, succeeding Anthony Gigliotti, recently retired and who recently passed away, after serving over 40 years as legendary solo clarinetist. A new dimension is now added to the Philadelphia scene, as Morales is known as a wunderkind of a new generation of players, including not only as a prime soloist in demand Internationally, but as an opera orchestra experienced asset. Mr Morales will continue on faculty at Juilliard and be ever active in master class activities. This appointment is similar to the past achievements of the likes of Stanley Drucker, who made the New York Philharmonic at age 19 and is still after 54 years performing strong to the present day. This appointment in Philadelphia makes a landmark in the Clarinet world. This annual quality program featured an artist faculty from all over the United States from major orchestras and Universities. The activities included an array of recitals, open master classes by names like Ricardo Morales, just named Principal Clarinetist in the Philadelphia Orchestra following recently passed away Anthony Gigliotti. Of special interest is the wealth Morales has to bring to his new position as former principal in the Metropolitan Opera in New York in terms of operatic repertoire plus his near prodigy status as representing a new generation of talent to these levels in the Orchestral profession. 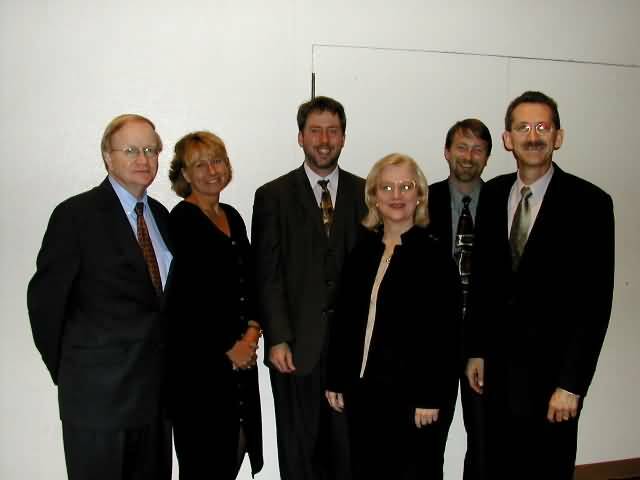 Other notable performers included Bil Jackson of the Aspen Music Festival and Colorado Symphony Orchestra, Julie DeRoche from DePaul University and major performer in Chicago including the Chicago Symphony, performing new music and a Premiere by Brett William Dietz, Larry Maxey performing Klezmer Music, Richard Hawley, Steve Cohen from the New Orleans Symphony, Gregory Barrett, Rich Coble, Daniel McKelway, Randall Paul, and Ronnie Odrich performing jazz and giving classes on improvisation. The University of Oklahoma Clarinet Choir and the Symposium Clarinet choir under James Meiller performed with high participation. 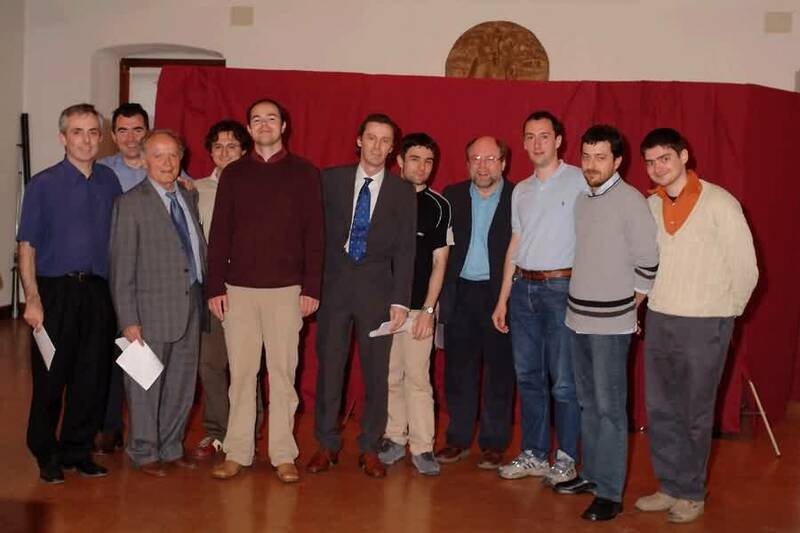 A student Competition was also held with prizes awarded. Director of this symposium is Dr David Etheridge who has held this festival now in its 28th year, a record for the quality of program. This is a major mecca for serious players. This Klarinettenchor event, held in the Musikschule in Fulda for 3 days, was an interesting and intensive event where 32 players from all over the country came to work up a concert and share a common interest. 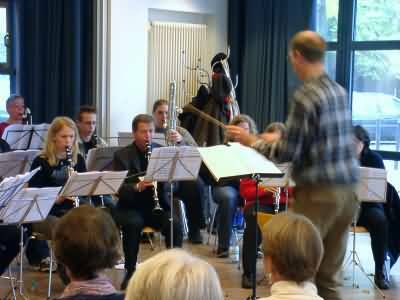 Conductor of this ensemble was Christoph Hilger, faculty at the Koln Musikhochschule. 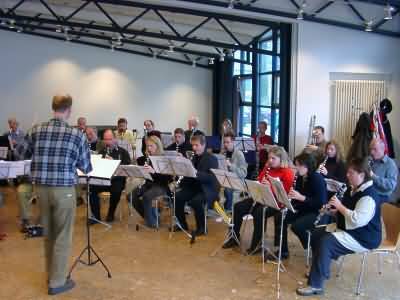 Two days of intensive rehearsals were held with a concert on Sunday. Organizers of this event included Bruce Edwards and Hans-Juergen Mueller, all officers of the Deutsche Klarinetten Gesellschaft. The next Klarinettenchor Weekend will be October 03 in Wolfenbuettel, Germany. 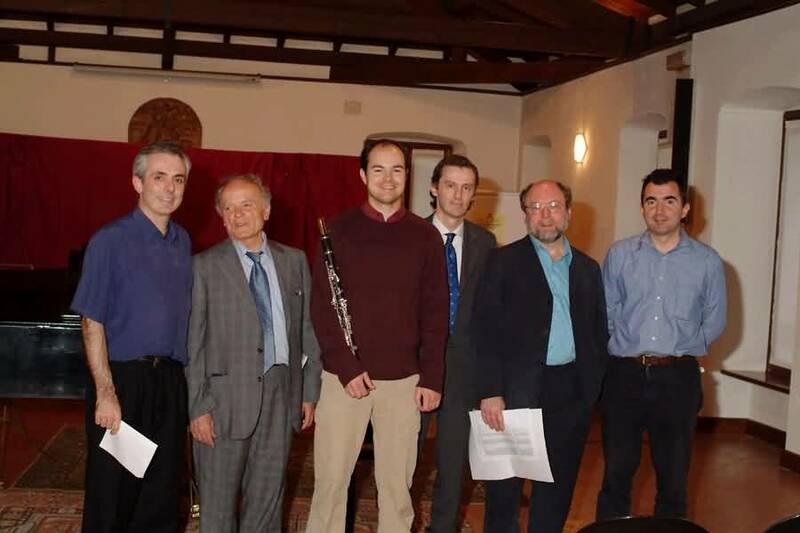 The third edition of the Breno “International Clarinet Competition” “G. Mensi” has taken place the 8th, 9th and 10th of May. Breno is a nice little town in the north part of Italy where Giacomo Mensi was born. 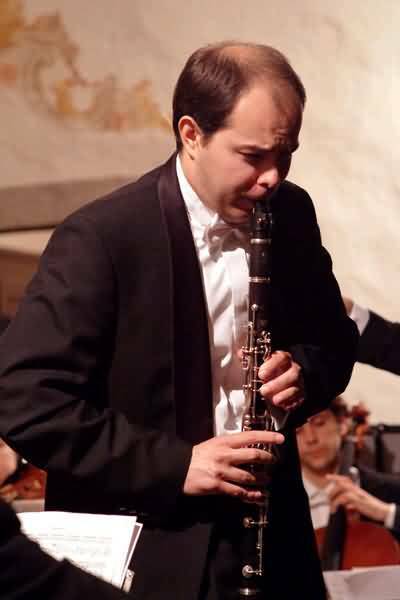 Giacomo Mensi was a talented clarinetist who studied at the local Conservatory, in Darfo Boario Terme, and then took a diploma at the Hochschule of Freiburg (Germany) studying with the well known player Dieter Kloecker.Soon after his graduation he died in a tragic car accident. This competition has been organized in order to keep alive the memory of this young player. In the competition the clarinetists could compete in two different categories: “young promises” and “excellence”. President of the jury in the major category was Anthony Pay. The other members of the jury were: Jiri Krejci ( Czech Republic), Luigi Magistrelli, Nicola Miorada, Primo Borali and Silvio Maggioni, who was also the organizer and Artistic Director of the Competition, from Italy. A good number of partecipants arrived from Italy and other European countries. In the minor category the winner was a very gifted 14 year old clarinetist from Salerno (south of Italy) who, among others, played the Mozart Concerto from memory. He won 350 Euros .Second prize ( 250 Euros) won by Marco Giani and third price ex- aequo( 150 Euros) to Selene Framarin and Tullio Balduzzi. Special mentions to the 11 year old Daniele Zamboni from Italy to Tomas Vavra from Prague and Julia Werner from Germany.In the major categories three rounds (in which the competitors played beyond a curtain) were necessary to decide for the winner. In the first round the compulsory pieces were the Weber Concerto No. 1 op 73 ( first movement) and a modern, interesting piece of P. Damiani, “Romanza e Scherzo”. In the second round passed fifteen players out of thirty-three and they had to play the Stravinski pieces. Six players were selected for the last round, where the Mozart Concerto has been chosen as a compolsury piece. 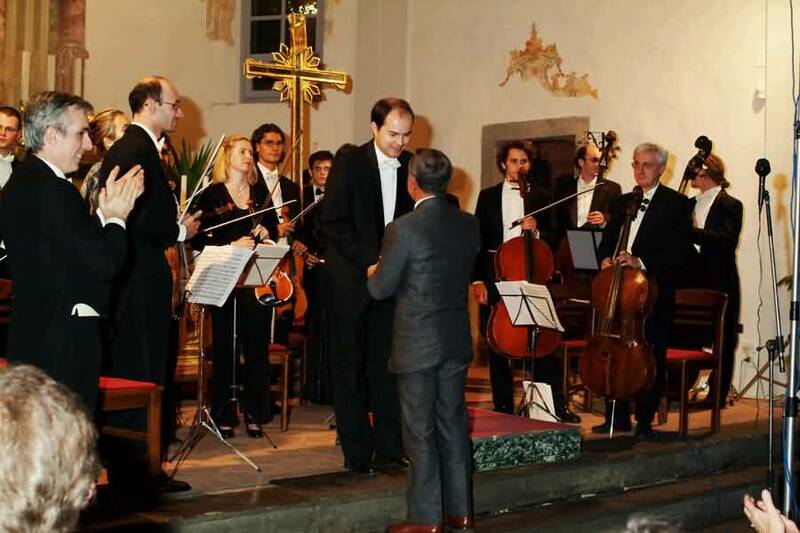 The winner was the Hungarian Tamas Massanyi from, winning 2000 Euros and the opportunity to perform the Mozart Concerto with “Vivaldi chamber orchestra” conducted by Silvio Maggioni , the day after the conclusion of the competition. Second price and 700 Euros, was given to Falco Alessandro from Italy and third price ax aequo to two players, Antonio Duca and Midali Gian Luigi, also from Italy. Special mentions have been given to the other two finalists Marcogliese Stefano and Bertasa Damiano. 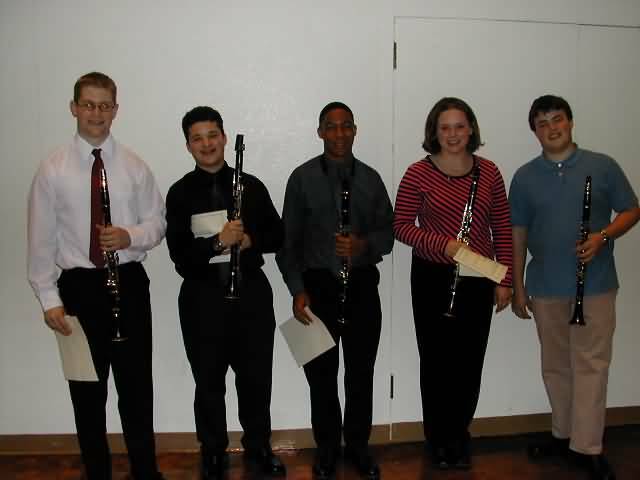 The second annual Texas Tech University Clarinet Symposium was held on the campus of Texas Tech University on March 28-29, 2003. 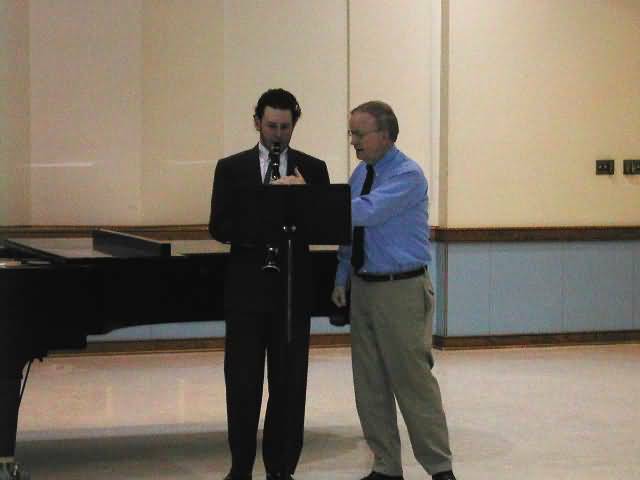 The weekend was full of recitals, clinics and master classes, all brought together by David Shea, assistant professor of clarinet at Texas Tech University. The symposium started Friday evening with a master class by James Gillespie, professor of clarinet at the University of North Texas, who worked with six students from Texas Tech. The class began with Trisha Burrel beautifully performing the second movement from Tedesco’s Sonata for clarinet, followed by a clever performance of the Copland Concerto by Jake Beeman. Amy Sandefur gave a lively rendition of the first movement of the Malcolm Arnold Sonatina and a stirring interpretation of Stravinsky’s Three Pieces was given by Kristen Morrow. The master class was concluded with two Introduction, Theme and Variations by Crusell and “Weber” (incorrectly attributed to him but known by most as the opus posthumous), played by Lauren Kaminski and Becky Rosales. Gillespie offered many very useful ideas to the participants on topics such as intonation, looking for misprints in the music and the use of alternate fingerings to aid the production of good tone. He also discussed shaping unaccompanied music by means of rubato and placing and emphasis on certain intervals. The suggestions were very useful to the participants and greatly appreciated by the audience. Saturday began with a performance by David Shea, the symposium host. Shea welcomed the attendees and opened his recital with an energetic performance of the Paavo Heininen Short 1 Op. 58a for Clarinet Solo. This was followed by an expressive rendition of the Carlos Guastavino Tonada y Cueca and the recital closed with a beautiful performance of the Cahuzac Variations sur un air du pays d’oc. Next we moved across the hall for a pedagogy clinic given by Carol Jessup, professor of clarinet at the University of Texas at Arlington. Jessup opened the clinic with the distribution of several handouts including an article from the February 2003 issue of The Instrumentalist entitled “In Developing a Clarinet Sound So Much Depends on the Embouchure,” Teaching the Clarinet, a pamphlet distributed by Southern Music Company and a final handout entitled “All –State Auditions: Practical ways to prepare for auditions at all levels.” Jessup gave a very eloquent and detailed presentation on how to teach good tone, use of air, hand position, use of tongue, playing in the upper register and other general topics including equipment and a students concept of sound. After a brief lunch break the symposium reconvened with a recital by Gary Whitman, the associate professor of clarinet at Texas Christian University. The performance opened with a beautiful presentation of the Burgmuller Duo for clarinet and piano, Op. 15. Whitman then performed the Bela Kovacs Hommage á Manual de Falla for solo clarinet with great flare and closed the recital with a fabulous performance of the Copland Sonata. Immediately following Whitman, James Gillespie took the stage with a variety of lesser known pieces including Max Reger's Two Pieces followed by the Leonardo Velásquez Variaciones para clarinete y piano. From lively to mellow and serious to slapstick, Gillespie effectively captured a different mood for each variation. Next came a mesmerizing performance of the Norbert Goddaer Aubade and a klezmer-like performance of the Srul Irving Glick Suite Hebraïque. The recital closed with a lovely performance of the Alec Templeton Pocket Size Sonata. In addition to the clinics and recitals, many local area high school and middle school students participated in the symposium by taking lessons, attending recitals and a fundamentals clinic, and rehearsing and performing with the Texas Tech clarinet choir. The final round of the symposium high school competition attracted many fine players from around the state. This year’s finalists were Jonathan Jones, Brent Buemi, Malcolm Prigg, Chantelle Kelly and Nathan Beaty. The judges were Tamara Raatz (Eastern New Mexico University), Rich Spece ( Angelo State University) and Sandy Mosteller (Wayland Baptist University). First place was awarded to Jonathan Jones and second place to Brent Buemi, both students from Duncanville High School in Duncanville Texas. The symposium came to a close with a concert by the TTU clarinet choir which gave spectacular performances of the Bach Brandenburg Concerto No. 3 and the final two movements from Moussorgsky’s Pictures at an Exhibition. 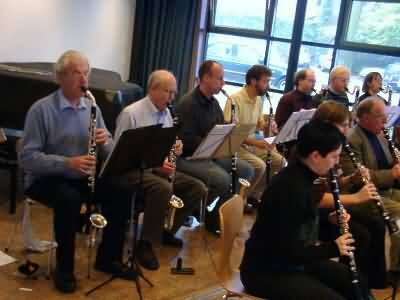 Finally attendees of the symposium joined the TTU clarinet choir to perform the Mozart Menuetto from Divertimento No. 2, K. 229, Ayre by Texas Tech’s own Mary Jeanne van Appledorn, Trepak from the Nutcracker Suite, The Pink Panther and a grand finale of Stars and Stripes Forever. Thanks to this symposium, all of the participants left Texas Tech having learned new ideas on playing the clarinet, hearing many wonderful performances and enjoying the opportunity to meet and play with other clarinet players of all ages and abilities. The prestigeous annual International Music Fair, featuring a myriad of events covering every aspect of performance, marketing of music products was held for a full week attracting the annual numbers in the thousands. Early week activities involved manufacturers, distributors (Internationally) dealers, educators, and promoters. The last few days were open to the entire market public. Performing events and public seminars were constant, and exhibitions covered several halls based on type of products displayed. This fair is the largest of its type in the world at the hub of Europe. The top management of all the major firms and their sub-executives from all over the world attend as well. All serious musicians should make a serious point of participating at this event. On tour for over 3 months in Germany is the 'King of Klezmer' Giora Feidman and his ensemble having performed 2 concerts in Heidelberg Stadthalle to sold out audiences. Music performed were original arrangements and transcriptions of classical music, notably with klezmer style including the Mozart Clarinet Concerto (2nd movement). Mr Feidman has been solo clarinetist in the Israel Philharmonic. Of special interest is a 'conversion' to the Wurlitzer Reform Boehm based on a sight unseen tryout of a set resulting in an order. These clarinets were classed as artist level instruments above the standard professional clarinets used normally in Symphony Orchestras and elsewhere. Serious players should analyze and pursue the artist agendas and instruments. major firms Internationally displayed products including instruments, accessories, and the like. of this association which makes it the authority on the school of German Klarinette performance. from almost all countries within the European Union, and from the United States, and from Asia. in these areas. 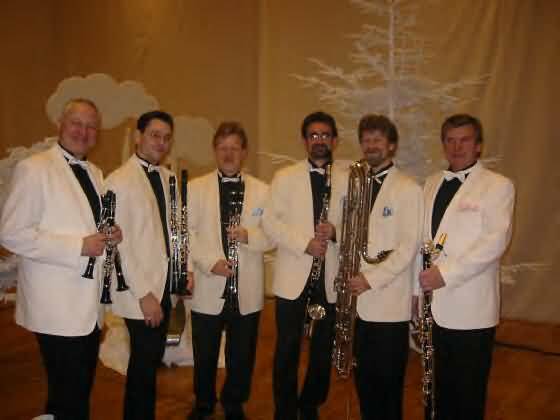 The next ClarinetFest will be held at the University of Utah in Salt Lake City in July 2003.
clarinetist of the Greenville Symphony Orchestra.